The angelic glow & star of Bethlehem shine down upon the shepherds, sheep & landscape. 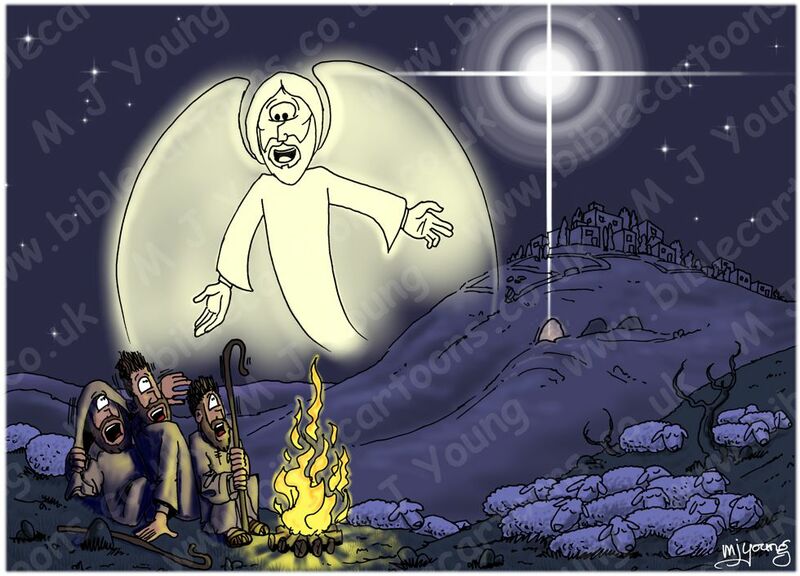 The camp fire of the shepherds forms a secondary light source. Angel, 2 shepherds & a lot of sheep! This scene will form part of our church’s outdoor Christmas carol service at 4pm on 20/12/2009. We project my cartoons & animations, along with the words to the Christmas songs, onto screens on the local community building walls.